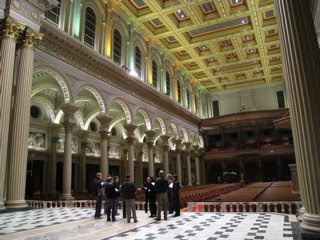 San Francisco's St. Ignatius - we call it 'the mother ship' - site of A Chanticleer Christmas for 30 years! We give two performances here and it's always amazing to see people who have been coming for most of those 30 years, as well as many first-timers. We produce our performances in Northern California ourselves. 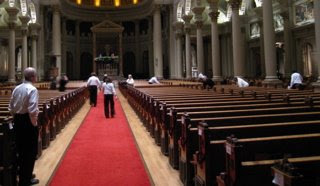 We couldn't do it without our dedicated band of volunteer ushers who have very little time to prepare between the end of our rehearsal and the opening of the house. 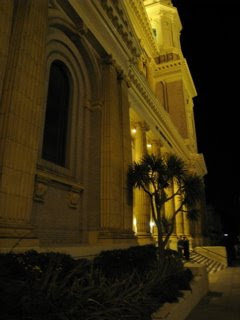 St. Ignatius is the largest of our venues for Christmas, holding about l800 people. 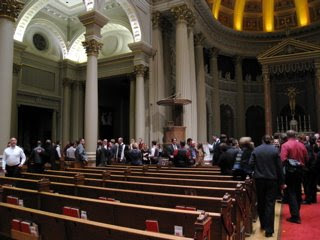 As at all of our Christmas concerts, many friends and family wait to see us afterwards.